Energy Safe Victoria is urging Victorians with either a Vulcan Heritage or a Pyrox Heritage gas heater in their home NOT TO USE THEM until they are serviced by a qualified gasfitter. 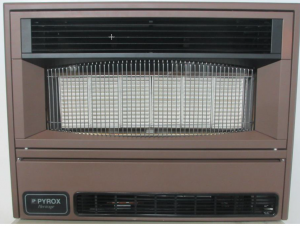 Victoria’s Director of Energy Safety, Paul Fearon, said both the Pyrox and Vulcan brands of the Heritage heater produce high levels of carbon monoxide under certain conditions. For people living in DHHS housing, please call 1800 148 426. 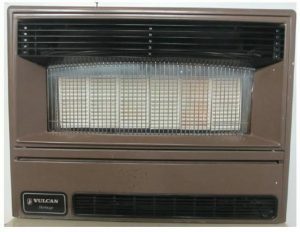 As a result, and in addition to the servicing and replacement program now in place, all Vulcan Heritage or Pyrox Heritage space heaters have been withdrawn from sale and their manufacturer has ceased production. “This is a timely reminder that everyone should have indoor gas appliances, especially heaters, serviced by a qualified gasfitter every two years,” Mr Fearon said. If you have one of these heaters, do not use it until it can be serviced by a qualified gasfitter. A complete service should include testing for carbon monoxide spillage, an inspection of the flue and ventilation. CLICK HERE for more information and what to do if you have one of these heaters or any open flue heater.